Hi Everyone, there’s so much going on . . . let’s dive right in. The focus for the month of April belongs to Archangel Jeremiel – Overcoming Difficulties. This is a time when the clouds part and the sun once again starts to shine. Lately, you may have been feeling like you’re only treading water. However, now is the time for forward motion. Things, issues, challenges and struggles clear, healing has occurred, and now you can take steps forward. This month will be all about moving forward with fresh eyes and newness. Take what you have learned during these last few months and allow them to fuel your engine. The beginning of the week spend some time outdoors if only for a few moments and ask Archangel Jophiel to beautify your thoughts, ideas, and clear your energy. There is plenty of support for new beginnings even if that new beginning is an attitude and not a physical action. 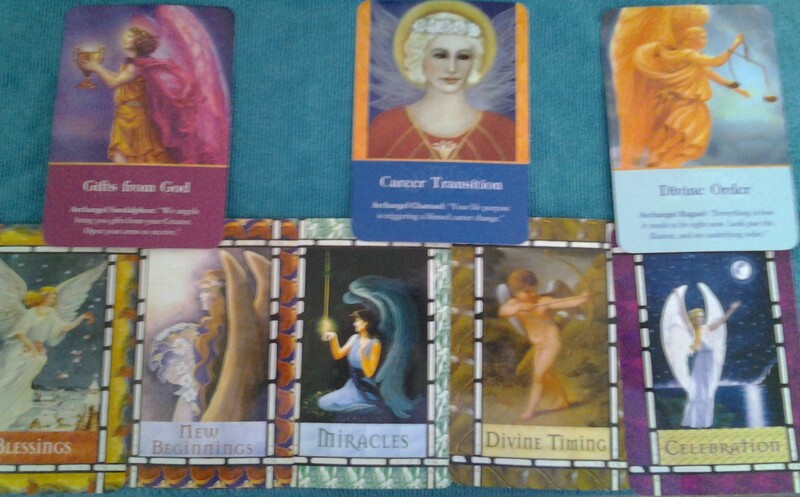 Archangel Gabriel is nudging us to journal or write down any thoughts, ideas, and feelings. See if it doesn’t clear things up for you, or help you clarify and define. You received that idea, message, or nudge for a reason. Now give it life by writing it down. Midweek expect an outpouring of abundance in the form of gifts, talents, recognition, and/or financial gain. Listen to the Divine Guidance that comes with these gifts as they are as equally as important as the gifts themselves. Archangel Metatron is letting us know that Indigo, Crystal and Rainbow children may need some extra attention now, as their sensitivities are on high alert. Re-direction, physical activity and creative outlets will help. That goes for us sensitive adults as well. This weekend you will get a complete picture of something you have been working on for a while. You can sense the possibilities of a dream manifested. Enjoy this time and sit with it this weekend. Try to not get too bogged down in the details, just seeing it is enough for now. If you’re a planner and list maker, Archangel Metatron can help you get organized and set some priorities. It’s been my experience that dreams, no matter how big or small, are the result of plain ole hard work and effort. This work however, is the stuff that dreams are made of. Everyone can communicate with Angels. In these two classes (part I and II) you will learn everything you need to be able to do Angel Card Readings for yourself and others. Being a messenger or “reader” is always a personal journey, and we will spend time talking about that, as well as how to take care of yourself energetically and shielding. We will also uncover the specific ways in which you receive messages and how to develop those gifts. Most importantly, we will spend time doing readings with each other. Please visit http://www.igniteyogastudios.com/workshops.html and to register.